Statistically speaking, the most common subject that couples fight about is money. So, have you and your partner been arguing and can’t seem to agree on what to do with your finances? Know that you are far from alone. There are plenty of reasons that a couple will fight about money. Perhaps you both come from very different financial backgrounds that each affect your outlook on spending and saving. Maybe you have very different ideas about how to save for the future. Maybe you even agree about spending and saving but one of you is good about tracking while the other is terrible at tracking. Whatever the reason for the disagreement, know that it is not nearly as important as how you decide to deal with it. Here are several popular options that have helped reduce the money-related bickering for other couples. 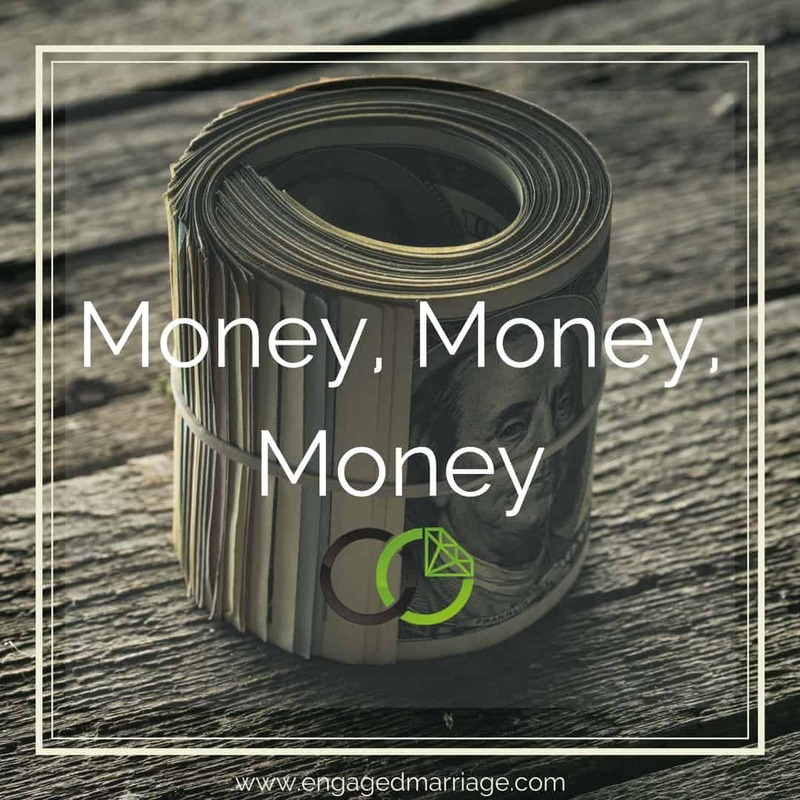 We’ve discussed the topic of whether to use joint or separate bank accounts extensively here at Engaged Marriage. While many couples would benefit from sharing a main account, there are circumstances where separate checking, savings or credit accounts might make sense for you. If you do already have joint accounts, you can consider consolidating those accounts and paying them off if you do decide to separate your finances. The experts at CreditSoup recommend using a balance transfer to do this – preferably into an account with benefits like zero interest, etc. If you’re separating your money, it’s worth consolidating your joint accounts into two new accounts, one for each of you to manage. This way the balance still remains a joint responsibility and won’t fall solely to one of you to manage. This is a popular option for couples who like the idea of sharing expenses even though they know that their approach to financial management is wildly different. Hybrid Financial Management is where a couple opens up a joint account while still maintaining their individual accounts. Both partners agree to automatically transfer a portion of their income into the joint account and that the account will only be used to cover the cost of joint expenses. Rent or mortgages, family phone plans, etc. – all of these can be managed from the joint account. You can also pay bills for any other joint credit cards, loans, etc. from here. Figuring out how much each of you should contribute to the joint account can be tricky. 1. You each put an equal portion of every paycheck into the account. If your incomes are the same (or close) this is the easiest option. 2. You figure out how much the account needs to have in it to cover your joint expenses, divide that number in half and then each of you is responsible for contributing your half to the account. This is better for partners whose incomes aren’t equal. Once you’ve both contributed your decided amount to the joint account whatever you have leftover is yours to spend without your partner giving you grief or judging your spending. One of the best ways to avoid conflict, of course, is to talk about your individual approaches to money as early on as possible. For many of us talking about money is exceedingly uncomfortable. We’ve been taught most of our lives, after all, that talking about money is a huge no-no. Still, if you’re planning to merge your futures together, talking about money sooner rather than later is a must. If nothing else, you should sit down to talk about money when things are calm and not during a fight (the subject of the fight is irrelevant here). Having a calm discussion about how best to manage your financial life together can help alleviate any fears, address any concerns, and make sound financial plans before problems occur. Remember: just because couples completely joined their finances in the past that doesn’t mean you have to do that now. Figure out an arrangement that works for both of you and stick to it. Money is a sensitive topic that couples need to discuss. Others might disagree or agree but they need to have a clear idea of their goals and what they want to achieve financially. This way both can discuss their plans and they will have something to look forward to.